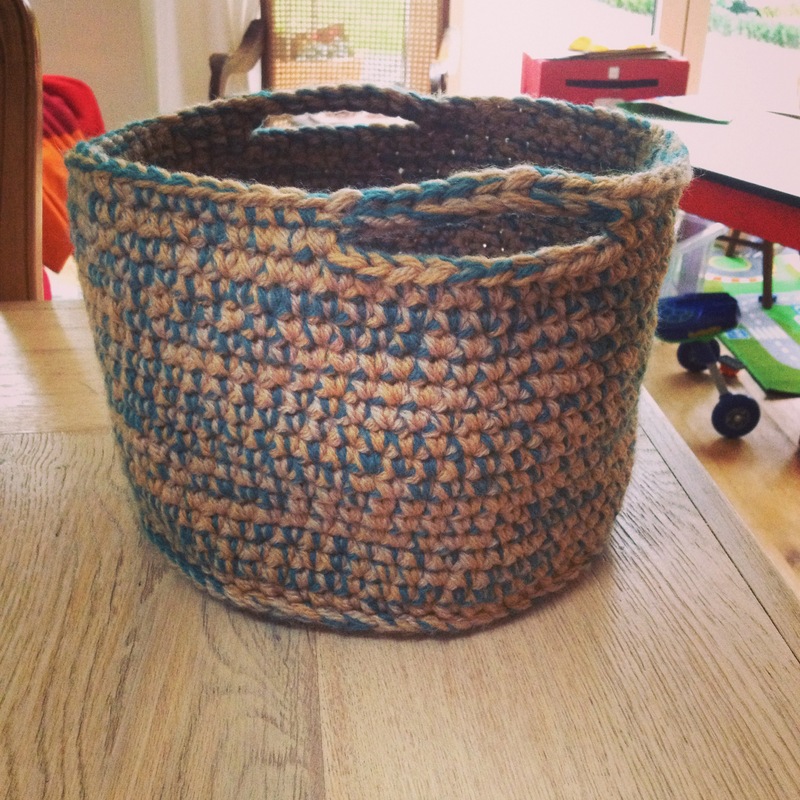 For these crochet baskets I used 3 different colours of aran weight yarn at the same time to give it a thicker and sturdier feel. 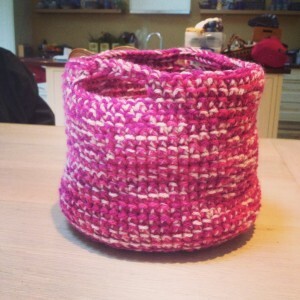 It is a great basket to put your yarn or work in progress in. Here is the pattern.